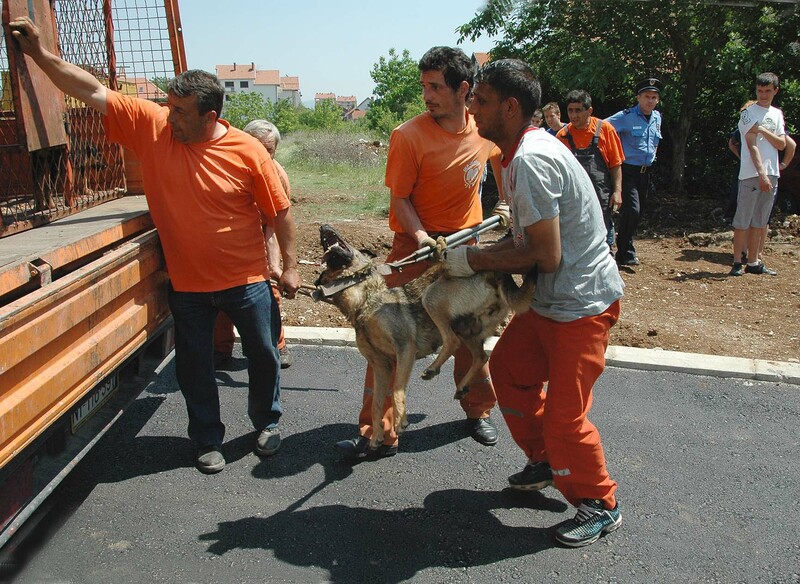 Serbia: Lots Going On – YOUR Help Needed With Several Issues – Please Support Thank You. With regard the new draft law in Serbia, things are happening and changing (hopefully for the better !) at an almost constant rate – it is very difficult to get in all the news and to keep issuing new posts; things are happening so fast. So here are the main points that we have at the moment – it is good to see that major Serbian academics such as Mr. Dušan Kovačević , member of the Serbian Academy of Science and Art made some very strong comments in one of the national newspapers – see more below. There are also petitions to be signed, and also there is a request for our campaigner friends that you do a simple sign opposing the killing, then take a photo of it with yourself, and send to Serbia to make an International wall of opposition to the killings. Slavica and EPAR have sent a Complaint to The Constitutional Court in agreement to article 82. of Law for the Constitutional Court, and to the government in agreement to article 8** The law about Government . and she ask that this Draft be put down and a new one be make by collaboration with all NGOs (as You can see there are more then 30 NGOs – interested public, and Law for ratification Aarhus Convention demands all be included in – 1. initial step of making Draft. I hope that you can help us and I am expecting your answer. Please, do not hesitate to ask me about anything related to the new draft law. A media campaign has started. One of the greatest intellectuals in Serbia (Mr Kovacevic) has spoken for the most read newspapers (Blic) on Thursday. He told the authorities that they should kill retired citizens after they kill all dogs and cats because we are so poor, and after that they should kill workers etc. He is academician and a writer and he was sarcastic because poverty is always an excuse for killing dogs. On Friday, he spoke for Radio Free Europe and said that there is a group of idiots at the Veterinary Directorate and that the idiots have to be stopped. Today, Blic (national newspaper) published another article and Mr Kovacevic’s and I spoke about new draft law. We have a lot to say, because most provisions are written so imprecisely that we are expecting new and new misapplications that will cost lives many animals. – Please sign and share. We desperately need more signatures on this petition to stop amendments to the Animal Welfare Law which will only mean suffering for Serbian animals. WE NEED YOU! – PLEASE SIGN AND SHARE WIDELY!!! 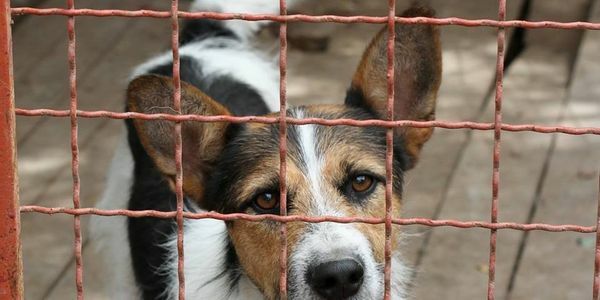 The EU Have Drastically Failed The Animals Of Serbia – And They Let Non EU Members Dictate The Terms !!! What Slavica wrote is absolutely correct. After the public hearing the law will be confirmed by the parliament and it is intended to become effective immediately in June. Everyone in Serbia told us the same and it is no surprise. Once a Ministry has decided on the texting of a law the parliament will only confirm this – there hardly is any parliament in Europe that works differently – if they make changes to a draft it is usually a mealymouthed compromise. It is only public pressure from the civil society that bring about real change. Farm animals are allowed to be slaughtered without prior stunning. This is definitely against EU regulations. Yet another EU failure ! Longer Terms I cannot imagine that the EU Parliament and the EU Commission can ignore this new Serbian law. No one can claim they did not know. I and numerous others have sent out an information email on Serbia’s intended new law to all members of the European Parliament and Andreas Erler of Eurogroup for Animals. No one can claim they did not know. 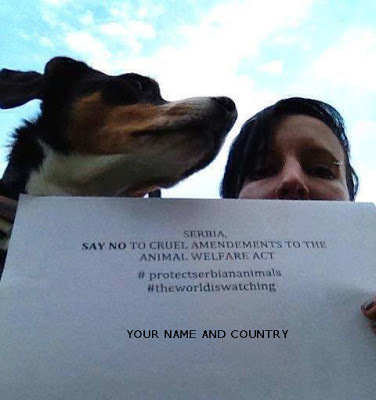 This new law comes at a very short notice and all we could do is get out the message and a Group of German, Serbian and Croatian animal protectors working in Serbia have put up three petitions in Serbian, English and German – that have so far gathered over 10.000 signatures. Whatever ideas any of you have that we could further do, pls tell us. We are ready to help. Serbia: Tomorrow will be too late! I am not sure what exactly needs to be sent apart from those points that Slavica (EPAR) made. Perhaps it is too long and needs to just be condensed but the main point is that our Ministry of Agriculture formed a working group, which produced a secret draft for the proposal of the amendments to the existing Animal Welfare Act from 2009. This original Act was very good, better than most countries welfare acts but, sadly, wasn’t implemented. 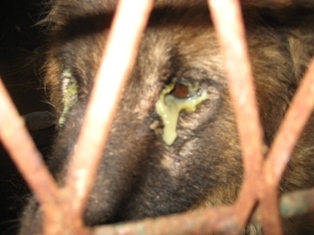 This created opportunities for various mistreatments, exploitation and animal abuse at the hands of individuals, but more worryingly, professionals and institutions which were meant to care for them! The main problem, as it seems, is the fact that people in power, who have nothing to do with this ACT are actually going to decide on the future of all animals in Serbia. They are led by the promises of profit, guided by the needs of other EU countries that are not allowed to do certain things anymore, so Serbia can happily step in and provide such services/businesses (breeding animals for fur). The whole process was done in secrecy, thus breaking the Aarhus Convention as only when the draft leaked and the concerned public raised their concerns, have they invited the animal protection groups and NVOs to join in with the discussion. But, it seems that this was only done as a gesture as nothing more has been organised for this process to be conducted as it should be, giving enough time to all interested parties to continue with the discussion until the right agreement is reached – the best regulations for the true welfare of ALL animals in Serbia. It is very obvious now that the government is not interested what its people need/want as they haven’t taken any suggestions and concerns on board but are clearly going ahead with their very own version of the proposed amendments. These amendments clearly mean death to hundreds of thousands of our healthy animals – all for the sake of profit and personal gain, in many cases. We, people who have been working very hard on animal protection are shocked with the lack of fair-play all at the expense of these innocent, sentient beings as, once the amended Act come to life, we will witness the extermination of many animals, especially the most vulnerable ones (wild, stray, “experimental”). We urge anyone who cares whether our future generations will have the pleasure of the company of the Serbian rich animal kingdom, to raise their concern NOW. Tomorrow will be too late! Hope that this explains a bit what is going on. Many of us ‘non-Serbian’ animal welfare groups across the EU (and other parts of the world) are doing what we can to try and prevent this new legislation being passed by the Serbian government. One of the biggest failures in the system is the lack of steadfast leadership by the EU Enlargement Commission who should have been forcing Serbia to implement its existing rules of law for animal protection; and not inventing new legislation to the detriment of animal welfare. Instead, it (the EU) just seems to sit quietly and allow Serbian officials to draft new legislation much to the negative for all animals; whilst yet making more money for some in authority within Serbia who have already had a grip of the system and abused it for many years, simply by ignoring the existing laws and doing instead exactly what they want to do purely for financial gain. The EU Enlargement Commission is doing nothing at all to help either the Serbian campaigners or the animal welfare campaigners throughout the EU and other parts of the world. You have to ask yourself what they (EU Enlargement Commission) really exist for; when they are being dictated to by an outside (current non-member) state rather than demanding that state (ie. Serbia) gets into line with what they in the EU require of future new members. 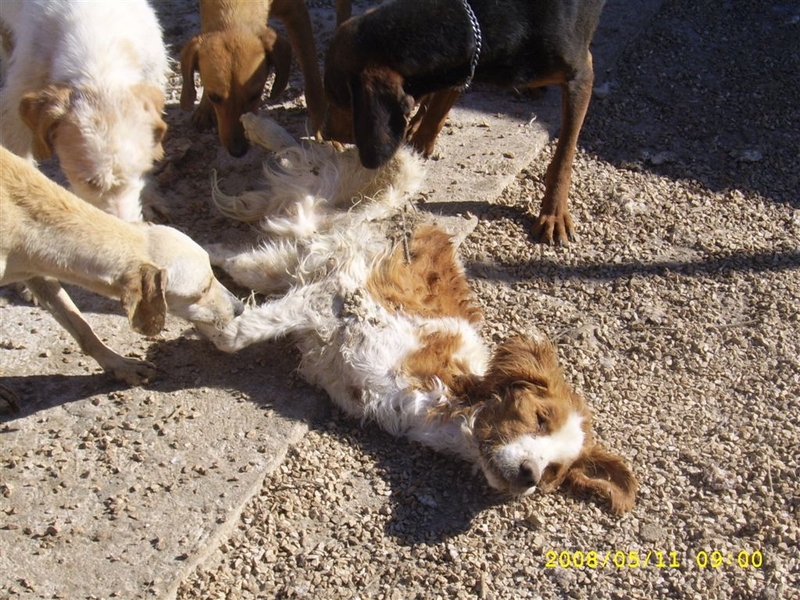 As Vesna’s information above shows; things for animals in Serbia are looking pretty desperate. Blame this on the EU Commission – we do. The EU has failed the animals of Serbia; and just as importantly, it has failed the animal welfare groups of the EU who have been calling on it to act more positively and bring the Serbian government to task about its non-implementation of good and already currently existing Serbian national animal welfare legislation. As we have said in the pat, now say, and will continue to say; the EU Enlargement Commission run by Commissioner Hahn is NOT getting future EU member states to adhere to what the EU requires re legislation; the EU is instead being dictated to by current non EU states such as Serbia – a case of the tail wagging the dog. Certainly here in the UK we do not want a future in the EU which is run even more by bribery and corruption. The EU appears to be going along the same lines of the ‘FIFA’ fiasco which we have all been watching on our tv this week; the main people at the helm doing nothing to actually enforce the rules, when it is obviously clear to everyone except them, that the existing rules are not being adhered to or even enforced. We in the animal welfare camp can really do no more than we already are. Under the current situation, this would appear to be not enough. Corruption; the greed of gold and a useless EU Commission have failed good, decent and honest people around the world who are doing what they can top stop the abuse of animals. We, along with other welfare organisations are now looking into how changes within the EU ‘management’ can be made – we want ‘our’ Commissioners to represent the people of Europe; not to be dictated to by an animal mafia or government such as that which exists within Serbia. 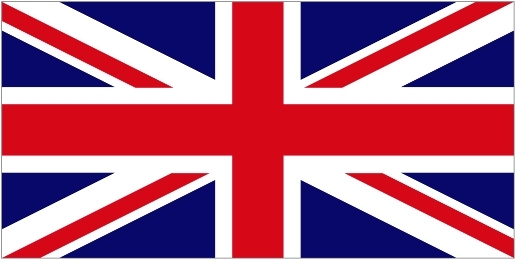 If the EU is not going to demand existing regulation enforcement by new future member states; then the people of the UK at least will get out of the EU and instead leave it to be run by the corrupt systems that appear to taking control of what was once in the past a good Union of nations. Sadly, it is no longer. 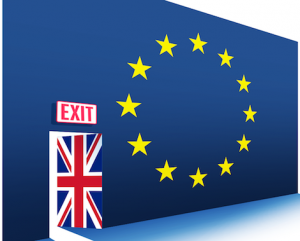 All we can hope is that the people of the UK, when given their chance in the near future, will take the exit door on the EU and instead let the corrupt states that already rule the roost take complete charge. The EU has failed, and we do not want to be part of a European system in the future that exists and is run solely on corruption and deals, ignorant of the legislation which member states should be complying with !! 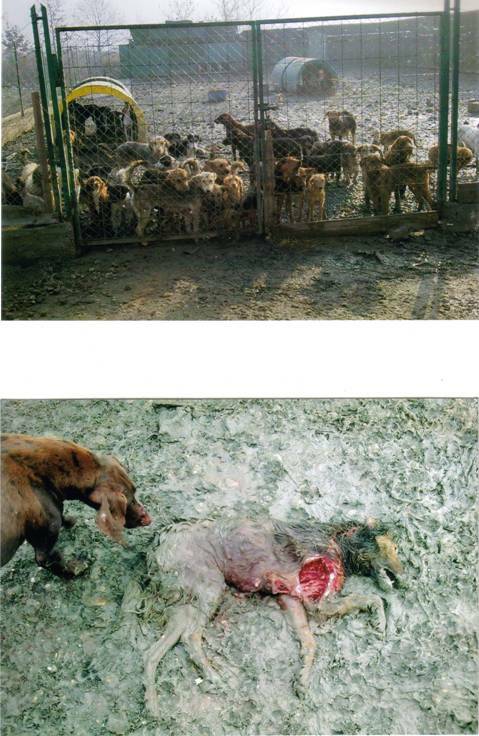 Serbia: Visit of EU Commissioner Johannes Hahn to Serbia on 7 May 2015 – Animal Welfare On The Agenda ?? Commissioner Johannes Hahn will visit Serbia on 7 May 2015. The visit will be the second one Commissioner Hahn pays to Serbia in his capacity of Commissioner for Neighbourhood Policy and Enlargement Negotiations. The aim of Commissioner Hahn’s visit is to support Serbia’s accession process and discuss the possibility of opening of the first chapters. In Belgrade, he will meet President Tomislav Nikolić and Prime Minister Aleksandar Vučić. He will discuss negotiations and focus on rule of law chapters 23 and 24 with Minister for EU Integration Jadranka Joksimović, Minister of Justice Nikola Selaković and Minister of the Interior Nebojša Stefanović. He will also have meetings with the Ombudsman Saša Janković and civil society representatives on the same topics. During his visit Commissioner Hahn will also give a keynote speech at the Foreign Investors Council conference and will discuss the economic and structural reforms and the connectivity agenda with Ministers of Finance Duṧan Vujović and of Economy Zeljko Sertić at the meeting of the National Investment Committee. He will also meet opposition leaders Bojan Pajtić and Boris Tadić. Commissioner Hahn will also testify to EU solidarity by visiting Obrenovac, where people are recovering from last year’s floods with EU financial assistance. SAV Comment – “He will discuss negotiations and focus on rule of law”. Lets hope that he focuses on the issue that Serbia has NOT complied with its own rule of law regulations regarding animal welfare for well over 10 years now ! UK: Now Guaranteed – The UK Citizens Will Vote To Leave, or Remain In, The EU. UK to vote to leave the EU. The UK Parliament has – 27/5/15; included several issues to be debated in the UK Parliament over the next year. One very important one, and one that will definitely go ahead will include a referendum on Britain’s continuing membership of the European Union, which will be held before the end of 2017. This will give every resident of the UK an individual vote on whether the UK stays in, or leaves, the EU. Whilst we appreciate that the EU is the major trading partner for the UK; we also share the same feelings of many EU citizens now – simply that the EU hierarchy (Commissioners etc) are not taking any notice of what the people want; and instead are going their own merry way down the road; utterly ignorant of the wishes of those who pay the national finances into the EU club. The current situation that we have today in Serbia; where the ‘rule of law’ is NOT being adhered to by corrupt officials in both government and regional authorities; only shows that the requests, mails and petitions presented by us. citizens of the EU, with regard to legislation changes for stray animals; are being completely and utterly ignored by the EU officials. It is as if the EU does not care what the EU citizen wants; they have decided and they will go with it regardless of the EU rules which we are informed on the EU web sites are ‘fundamental and paramount’ (such as the ‘rule of law’ which must be proven to be complied with by new members). 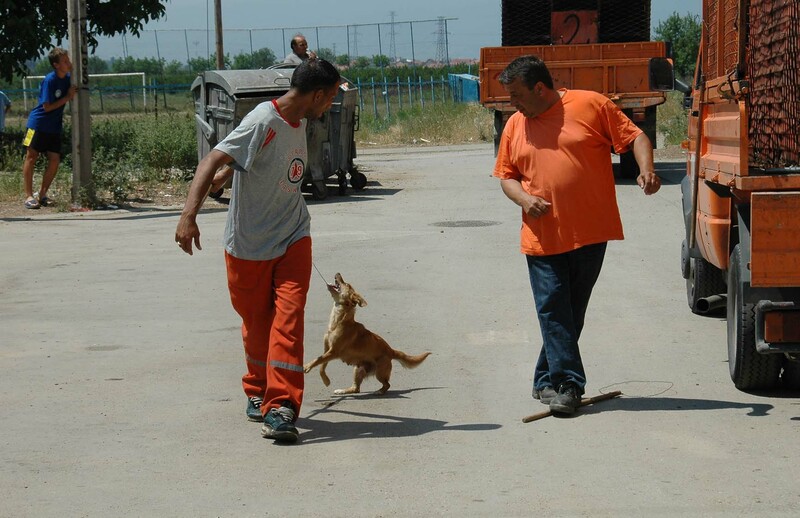 The EU does not appear to be taking much note of the rule of law – Serbian national legislation that the Serbian authorities and government have completely ignored for the last 10 years with regard how Serbia should treat the stray animals within its borders. If this is the case, ignorance of Serbian legislation (regarding animal welfare) by the Serbian government and authorities, which it is, then it has to now be argued if leaving the EU is probably the best thing for the UK. Let Serbia instead join the EU, let Serbia bring with it the corruption that we are witnessing there every day – let Serbian MEP’s (to be) join with the Romanians and others to become the major force in dragging down the regulations for animal welfare across Europe – lets see Serbia become the next EU Romania – ignoring the EU regulations and doing just what it wants, because this is what will happen if non-compliant nations who ignore their own national standards and regulations through not enforcing the national rule of law will eventually do to once in the EU – that is destroy all respectability and compliance with EU regulations; whilst introducing a ‘free for all’ situation rather like the gunslingers of the old wild West. With the EU not taking / enforcing hard action with nations such as Serbia over the issue of stray animal legislation; the EU has lost ALL credibility. The EU ‘talks the talk’ and publishes all the ‘compliance’ requirements on its website – but the reality is rather different; things may be overlooked when convenient; especially with such ‘small’ issues as animal welfare. Commissioners will continue to get their large salaries (for doing what exactly ? – enforcing the EU rules to new accession states ?) whilst attempting to entice new member states into ‘the club’. Enforcement of the ‘rule of law’; which the EU has always claimed is so important to be enforced and proven by new member states wishing to join, now appears to have been thrown out of the window. It now appears you can become an EU member regardless of your compliance with your own national legislations – ie. the ‘rule of law’ is a distant dream that only some nations actually comply with. Each and every day, with the pathetic situation re animal welfare that we are now witnessing within the EU by EU Commissioners; and by not giving the citizens of Europe a voice, the UK is asking itself if membership of the EU is actually worth anything. 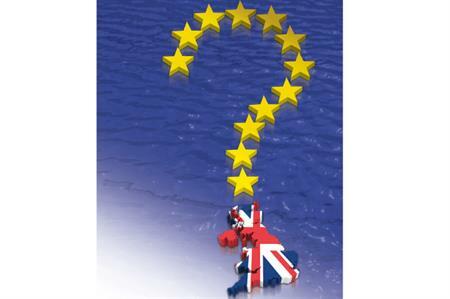 Here at SAV, whilst always being pro-EU in the long past; we have now become very undecided on the current situation. Maybe we in the UK would do better to pull out of the club; let nations such as Serbia and Romania take the reigns within the EU; have the corruption and non compliance within the club. If this is what the EU wants, then it is welcome to it – let it have a wild West of non-compliance with regulations by these kill happy states. 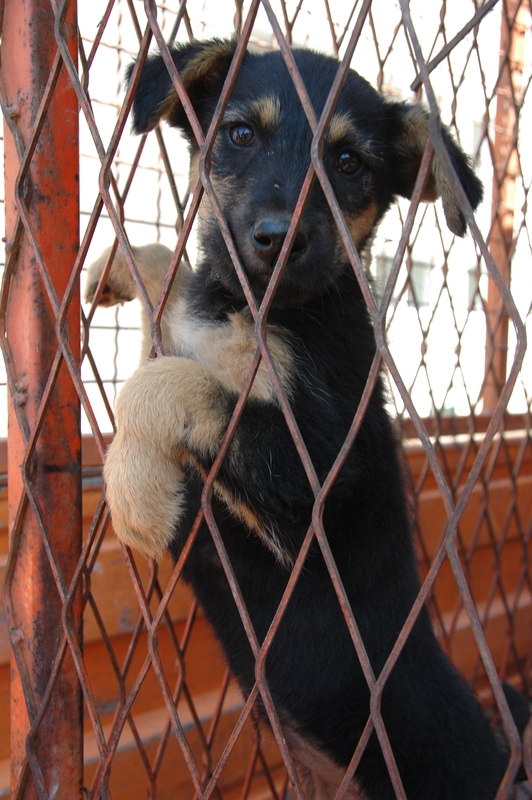 Let the UK leave; fine, we take our chance – the EU is doing nothing for us regard Serbian animal welfare; it tells us nothing even if it is; so maybe best that we pull out via the UK referendum and go it alone ! our letters and formal complaints are ignored by the EU Commissions; the Commissions (with regard Serbian animal welfare issues) just utterly ignore us and everything that we represent and stand for; and so one has to ask; ‘whats the point of doing all this when the EU Commission(s) just ignore the very people it is supposed to represent ? – the EU citizen ? – supposedly US !!’. By 2017 the people of the UK will be given the chance to vote on the UK’s future in Europe and the EU. People may vote in majority to stay in; or they may vote in majority to leave. Until the referendum takes place; it will be very interesting to watch what actually happens regarding the EU and the UK. Whatever the result of this now guaranteed vote by the UK government; the EU and its non-elected Commissioners and Commissions really must ‘get with it’ and listen to the citizens of Europe and what they actually want. And as an EU animal welfare organisation; we call on the EU to put major pressure on the Serbian government to STOP changing the law regarding animal welfare issues as it is currently attempting to do; and we request that just for once, the Serbian government actually enforce the Serbian national animal welfare laws that it has ignored compliance with for at least the last 10 years; and which we have continually proven and shown on this site ever since it started. Serbia is out of control – it is corrupt from border to border, from the top downwards, and it is doing nothing that will be of benefit to the EU. From what we see regarding animal welfare, the EU Enlargemnt Commission is doing very little to enforce EU policy on this state currently seeking EU accession. Maybe now; if we do not see the EU actually take control over Serbia and its lack luster enforcement of national legislation (ie. enforcing the rule of law), it is time maybe for the UK to go it alone. We are being drawn towards this way of thinking and voting more each and every day when we have to sit and watch Serbian animals being treated as utter trash by an utterly trash Serbian government. EU – get your act together and do something; or very soon you will be less one member state – and that is called the ‘UK’. Petitions and More, May 27.
http://www.fondationbrigittebardot.fr/agir/petitions/hippophagie France, No to Horse Slaughter and long transports! 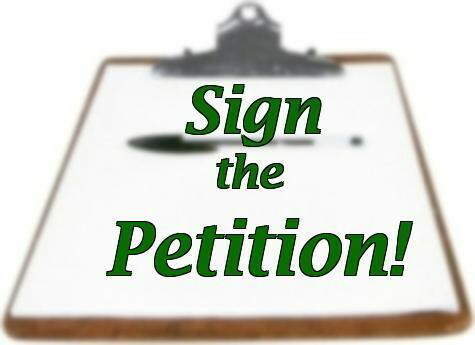 http://www.fondationbrigittebardot.fr/agir/petitions/abattage-rituel Stop (Halal) Slaughter without sedation, stop the prolonged suffering! 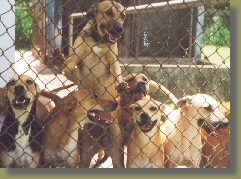 http://www.fondationbrigittebardot.fr/agir/petitions/chiens-roumanie Stop the Dog-massacre in Romania! France, no more total gestation caging for female pigs! http://www.capwiz.com/bestfriends/issues/alert/?alertid=66091776&type=CO US-info. Support our Troops and Brave Animals! https://secure.humanesociety.org/site/Advocacy;jsessionid=77485BEB0989830D78AF2D4C897EC3D5.app322b?cmd=display&page=UserAction&id=6917 US-info. Prevent a Whale-hunt in US waters, no to a Whaling-permit for the Makah tribe ! http://www.sosvox.org/es/petition/no-a-la-reduccion-del-iva-a-los-toros.html No tax reduction on Bullfighting spectacles! http://nysapfadvocacy.org/app/write-a-letter?0&engagementId=102633 NY-US-info only. 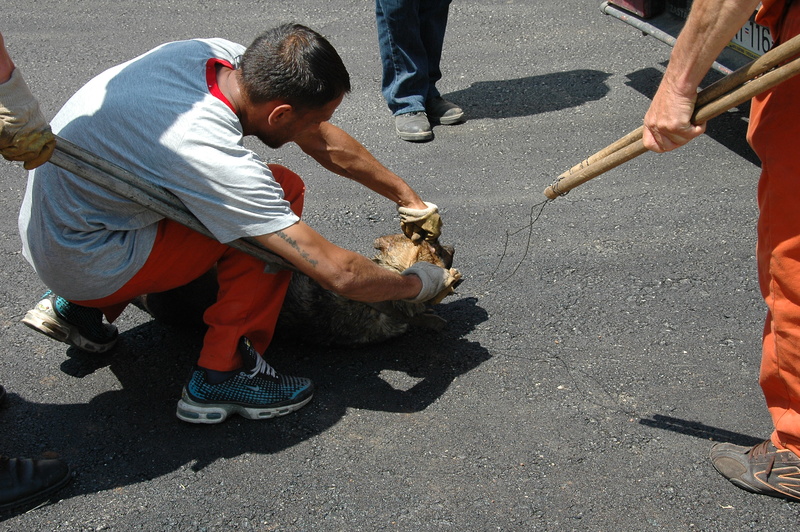 Help pass TNR Legislation in the NY State Senate! https://secure.earthjustice.org/site/Advocacy?cmd=display&page=UserAction&id=1556 No Arctic drilling! Int.